From the perspective of someone who wants to contact Wrigly, what's your opinion about their form? Does it invite you in? Or do you feel pushed away? Even if you were to start filling the form, how likely would you be complete it? We have nothing against Wrigly. We have no statistical data about their website visitors or contact form submissions. But if I were to make an educated guess, I would say that it's is quite possible that the form is barely ever submitted. Instead, ask yourself the opposite question: "Which questions/fields can we remove?". This will help you eliminate unnecessary fields that would otherwise clog-up your form and repel respondents. You can choose to follow this rough rule of thumb: fewer the questions, more the submissions. This form has only three fields. Enter your name and email address; type your message, and you're done! Compare your initial reaction to this form, with that to Wrigly's contact form. 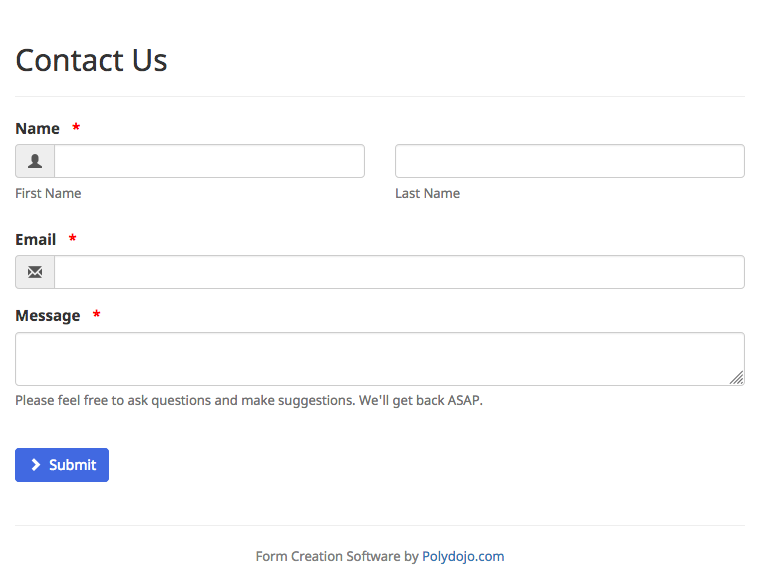 Note: This simple contact form is available as a one-click-setup template on Polydojo. When the form gets submitted, won't it be nice if the respondent is automatically sent a message, thanking them for contacting us? The message would also serve as a confirmation that we've received their submission. When the above form is submitted, two emails are sent. An email is sent to you, confirming that we've received your submission and you submission is emailed to Polydojo's support staff. Note: In Polyojo, setting up such emails is very easy. Go to Forms > (Your Contact Form) > Integrate. Add the Email Confirmation integration to setup an automatic confirmation message that will be sent to the respondent. Also add the Email Notification integration to get the submission emailed to yourself. Please use the comments area below to communicate your thoughts. 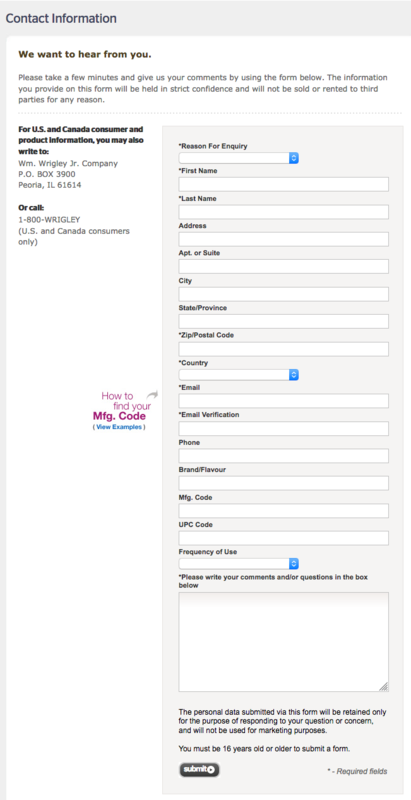 Alternatively, you may also fill-out the above Contact Us form and we'll surely get back to you. Your rule of thumb "fewer the questions, more the submissions" wasn't obvious for me. But I guess it eventually made sense. Interesting article, this. Yes. The idea that fewer questions would attract more submissions isn't obvious at first blush. But as you start to consider it, it seems sensible.